Listen to Gucci Mane, RiFF RAFF, Post Malone and Lil B team up on "Embarrassed". Well, Gucci Mane may have slid in to give us the most insane collaboration of the year with only a week to go in 2015. 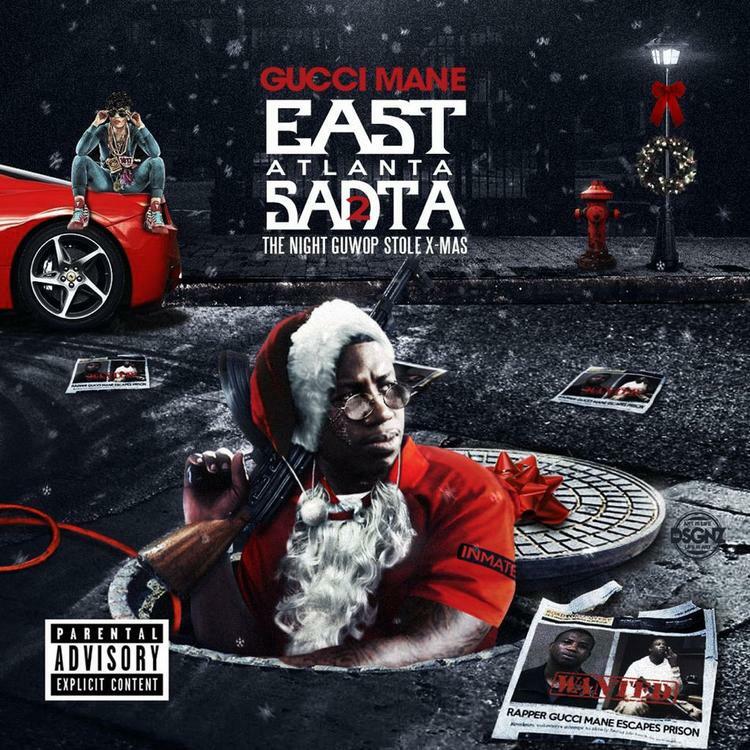 With the arrival of Guwop's jam-packed East Atlanta Santa 2 mixtape earlier today, one crew track stood out in particular, if only for the confusion it inspired. "Embarrassed" features guest appearances from an eclectic crew of collaborators made up of Lil B, RiFF RAFF, and Post Malone -- the last of which blew up long after Gucci went away. While it's clear the rapper hasn't been getting in the studio with any of the guests on his tracks for a minute, this one seems extra weird, but it's perhaps even weirder is the fact that it works pretty damn well. Everyone involved does what they do best, and Wop brings it all together with a particularly memorable hook.